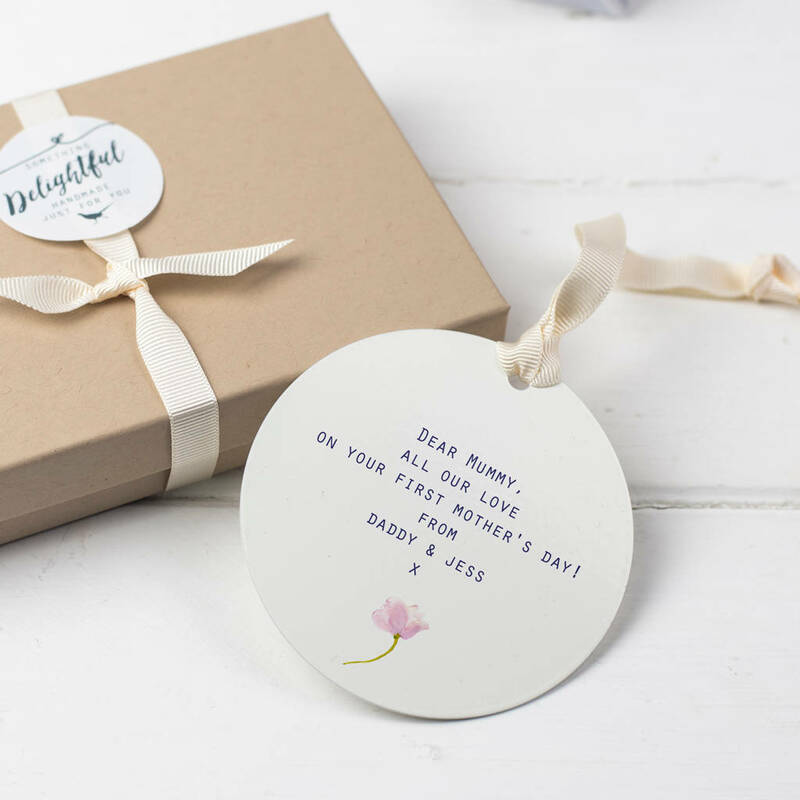 This personalised first mother's day gift makes a lovely mother's day keepsake. The perfect small present for mum on her 1st mother's day. A great gift for mum on her 1st mother's day from a new baby and daddy. Our delightful personalised first mother's day keepsake makes a special message token that can be kept by mum for years to come. 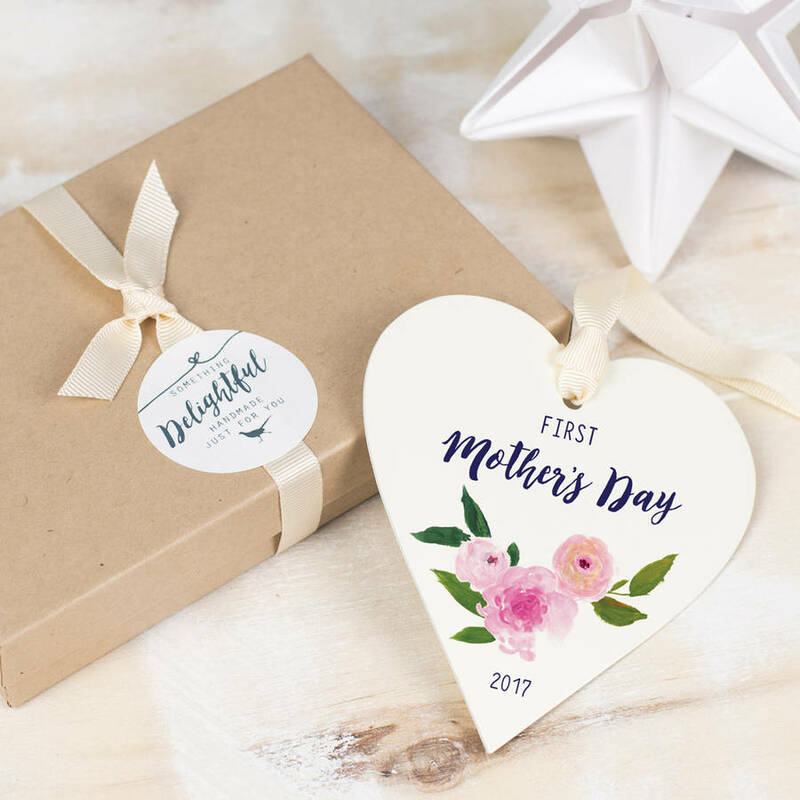 Presented in a gift box, the personalised first mother's day gift makes a special card alternative. All our keepsakes are manufactured in the UK and designed and printed in our Derbyshire studio. 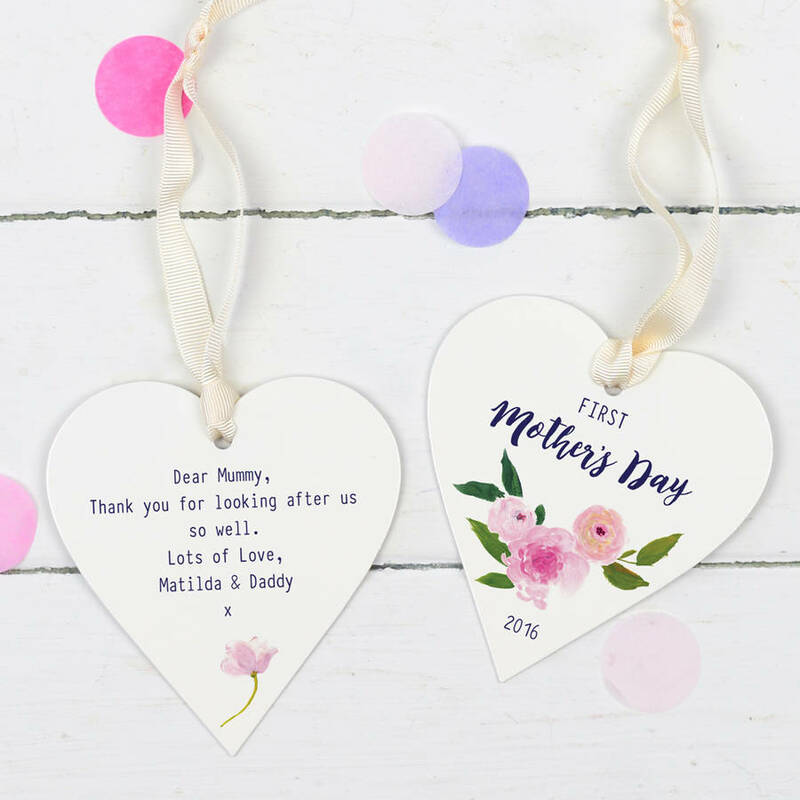 The personalised first mother's day keepsake can be displayed in the home, hung over a hook or handle or simply propped on a shelf. 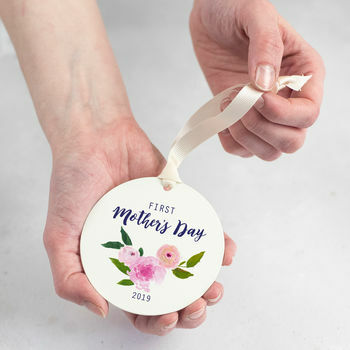 The perfect special message token for mother's day, to show your appreciation for all mum does. 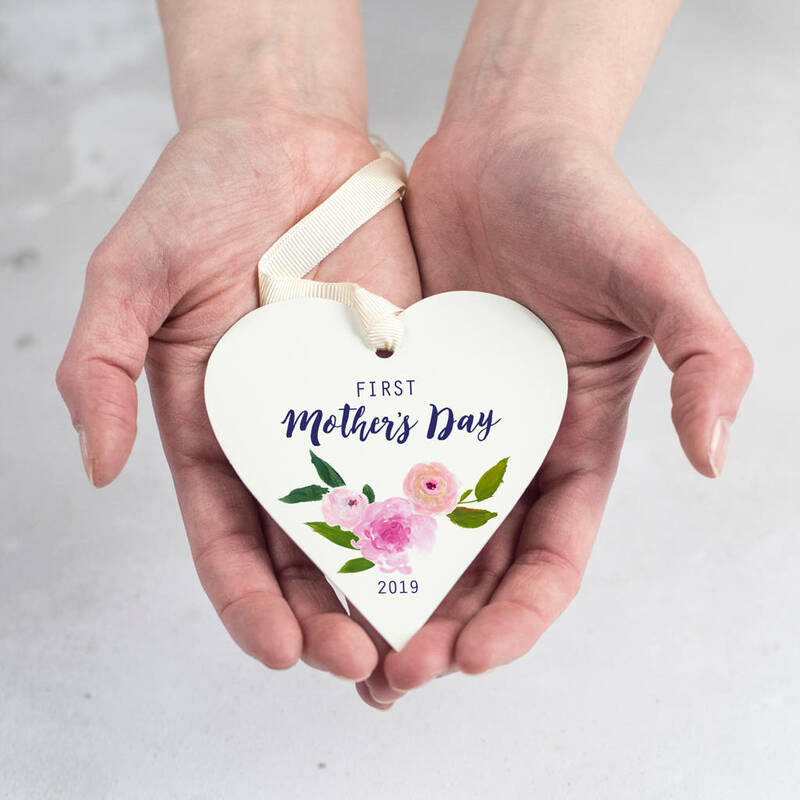 The design on the front of the heart is fixed and reads, 'First Mother's Day 2018'. All the wording on the back of the keepsake can be totally personalised to give this gift and extra special feel. Please enter all the wording that you would like to appear on the reverse of the keepsake and double check your spelling, punctuation and grammar. 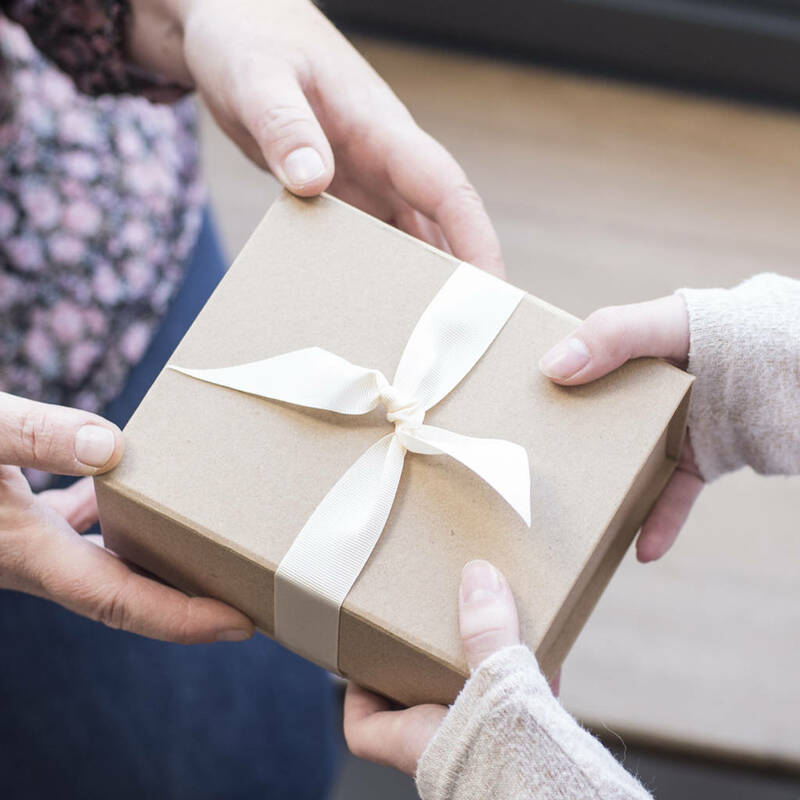 As each keepsake gift is custom made, it can not be re made once printed. Each keepsake is then strung with a grosgrain ribbon and then presented in a gift box. Heart: H 95mm x W 87mm x D 1mm. About the size of a coaster. Disc: Diameter 80mm. 1mm thick.